India's DomainX conference will be returning for its 5th annual event this summer and for the 3rd consecutive year it will be staged in the nation's capital - New Delhi. 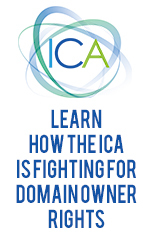 The two-day show will run August 4 & 5, 2018 and its focus will be expanded this year with Web Hosting and Cloud topics joining Domain Names on the agenda. The hotel for 2018 has not yet been confirmed but show registration just opened with three ticket options priced (in rupees) at 99, 1999 and 2999 (the dollar equivalent at the current exchange rate would be $1.52, $30.77 and $46.17 - rates that have made DomainX one of the world's best conference values). 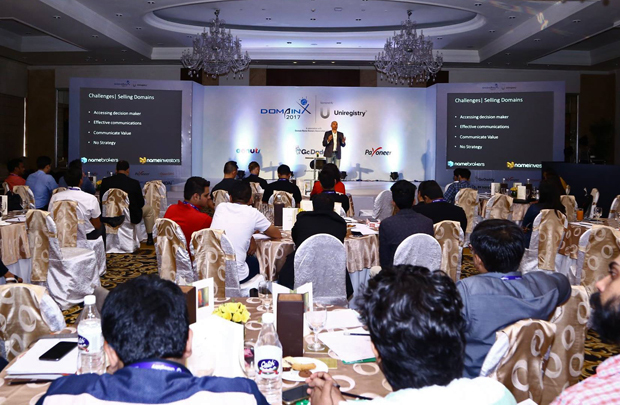 A scene from the 2017 DomainX conference at ShangriLa's Eros Hotel in new Delhi, India. The 2018 agenda and speakers line up will be finalized in the weeks ahead but there is already a preliminary list of expected speakers on the DomainX website. DomainX organizers Manmeet Pal Singh and Gaurv Kohli launched the conference with a 2014 event in Hyderabad, followed by the 2015 conference in Bangalore (that we attended) then 2016 and 2017 shows in New Delhi.